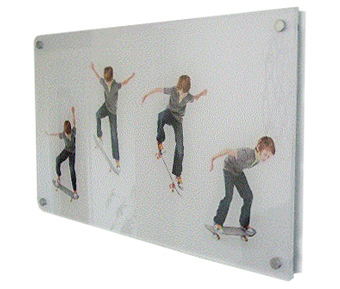 Below you will find a large range of decorative fixings, the standoffs look great to hang a panel off the wall, shown here is an example of them being used to display a photograph laminated to a piece of acrylic. 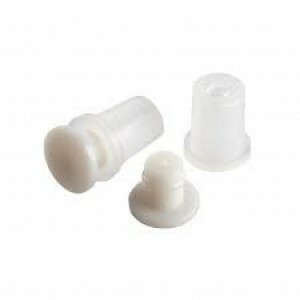 Chrome Stand Off Fixings 13mm dia..
Chrome Stand Off Fixings 19mm dia.. 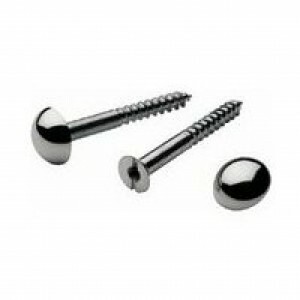 Satin Chrome Stand Off Fixings 13mm dia .. 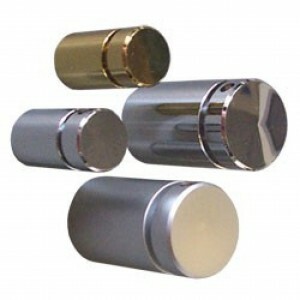 Satin Chrome Stand Off Fixings 19mm dia ..
Brass Stand Off Fixings 13mm dia ..
Brass Stand Off Fixings 19mm dia.. 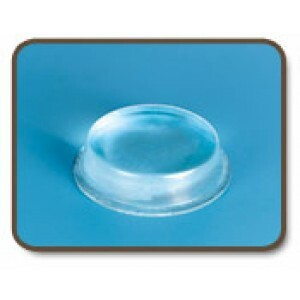 Pack of 10 Mirror Screws ..
Clear self adhesive bumpon feet..